As industries find that the market for their goods and services is often as closely connected to their quality as to their price, they become more interested in inspection and quality control. Non-destructive testing is one aspect of this topic; the subject of this book is a sub-field of this domain. 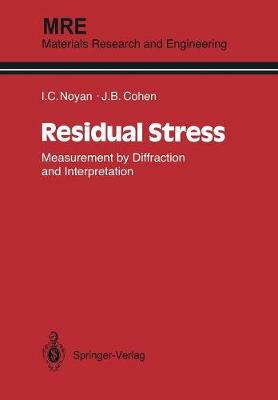 The techniques for measuring residual stresses have a long history for a technological subject. Yet, in the last decade or so there has been renewed and vigorous interest, and, as a result of this, there has been considerable progress in our understanding and in our methods. It seemed a proper time to bring the new material together in an organized form suitable for a course or for self-teaching, hence this book. After an initial introduction to the qualitative ideas concerning the origin, role, and measurement of residual stresses, we follow with chapters on classical elasticity and the relatively new subject of microplasticity. These are primarily introductory or review in nature, and the reader will find it important to consider further the quoted references if he is to be involved in a continuing basis in this area. There follows a chapter on diffraction theory, and then we fuse these subjects with a chapter on diffraction techniques for measuring stresses and strains which at present is our most general tool for non-destructive evaluation in this area.